Bapsy Jain is an Indian author noted for her bestselling novel Lucky Everyday which portrays the introspective spiritual journey of a woman faced with surprising life challenges. Jain is also an entrepreneur. Bapsy Jain was born in Calcutta, India. She completed her schooling from Presentation Convent, Kodaikanal and graduated from the Sydenham College of Commerce and Economics, Mumbai. 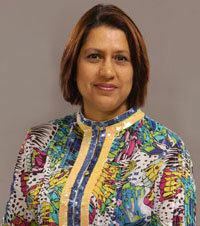 She then left for the UK to further pursue her education in finance and became a member of The Institute of Chartered Accountants in England & Wales. She married Nitish Jain on 23 November 1985 and they have two sons. Together Bapsy and Nitish Jain have set up business schools under the name of S P Jain School of Global Management in Dubai, Mumbai, Singapore and Sydney. Bapsy Jain is also on the board of several international organizations. 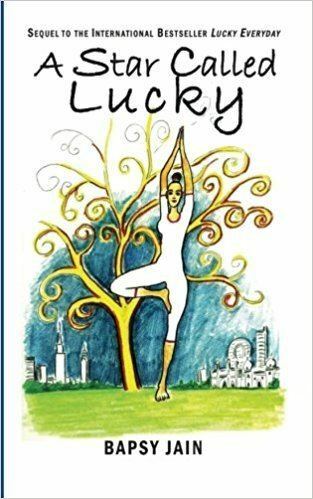 A period of forced bed rest allowed her to start writing and led to her first book Lucky Everyday. Bapsy Jain worked for ten years on her debut novel, The Blind Pilgrim published by Penguin. After the book became a bestseller in India, Penguin acquired world rights for the book in March, 2009 and subsequently published the book worldwide under a new title Lucky Everyday. Currently Jain is working on a sequel titled Night Vision. Lucky Everyday concerns itself with the human spirit’s ability to adjust to the challenges that life throws our way. Named a bestseller by Mike Bryan, CEO and President, Penguin Books, this highly descriptive version of the formula East meets West takes readers on an introspective journey following the life of Lucky Boyce as she transitions from being a professional working in New York to becoming the wife of a wealthy Indian businessman and then on to leading the life of a divorced teacher of yoga. She has shown spiritual leaders, yoga practitioners and readers worldwide, a new way of looking at the everyday and her writing is an inspiring reminder that love, anguish and spirituality have a place in both turbulent and peaceful times.